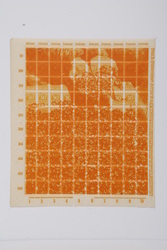 photographs for future project ? 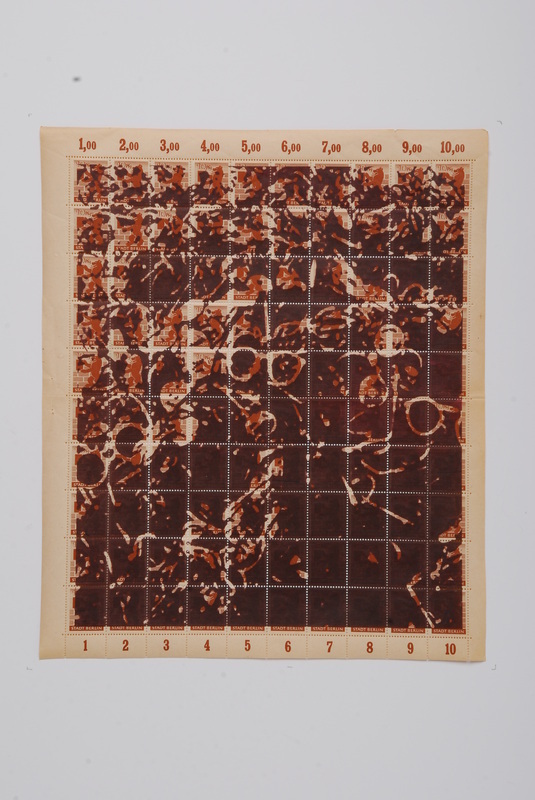 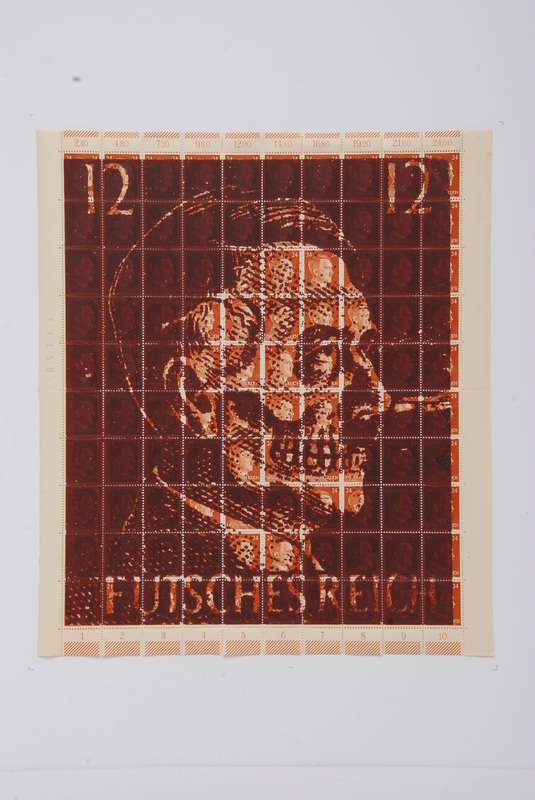 This body of work was made in response to a visit to Sachsenhausen concentration camp in Germany. 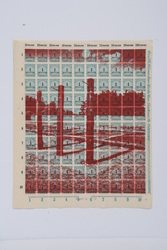 There are sixteen prints in all. 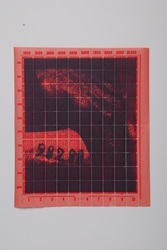 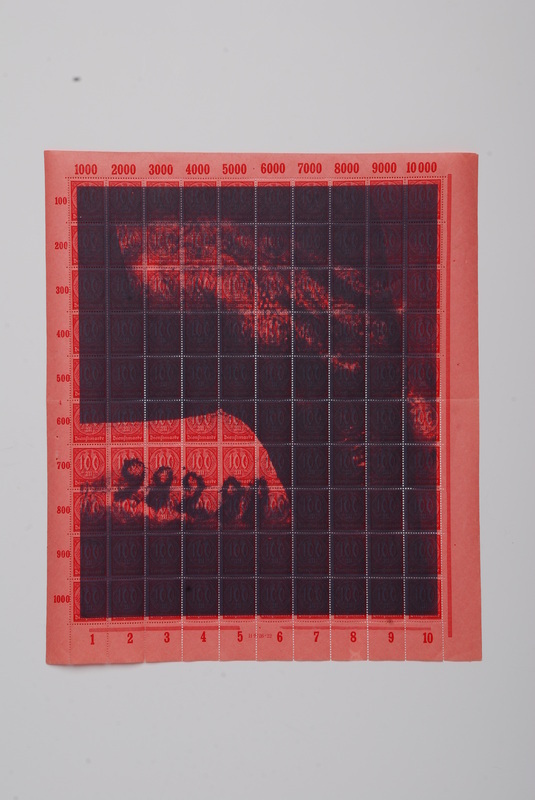 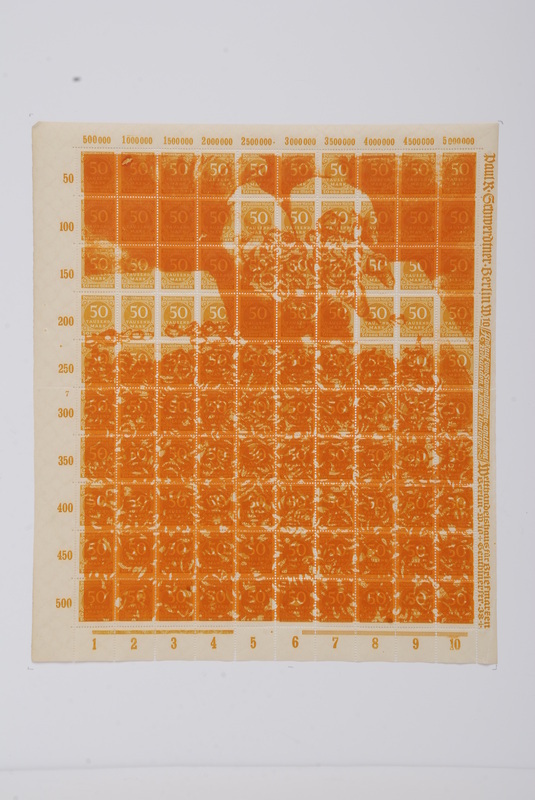 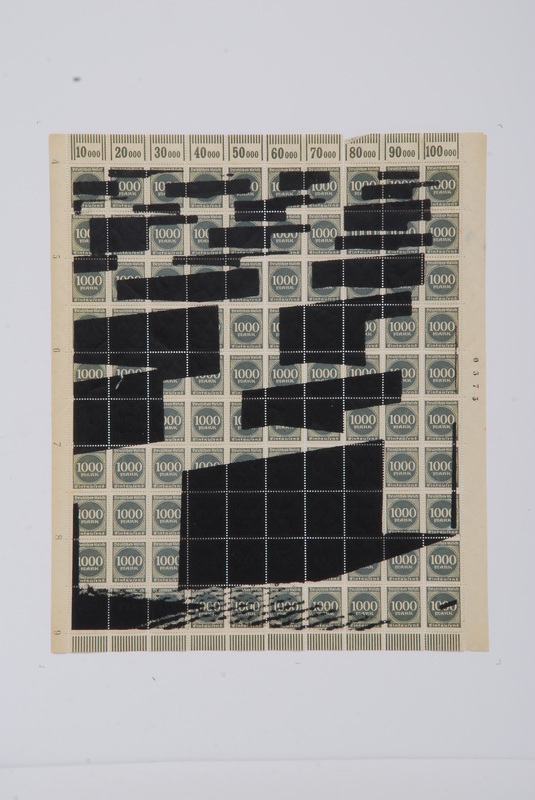 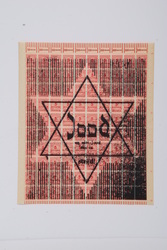 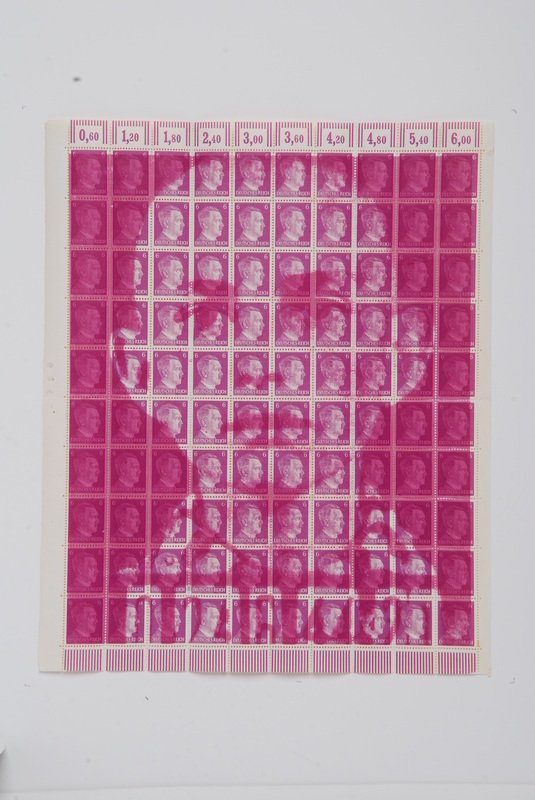 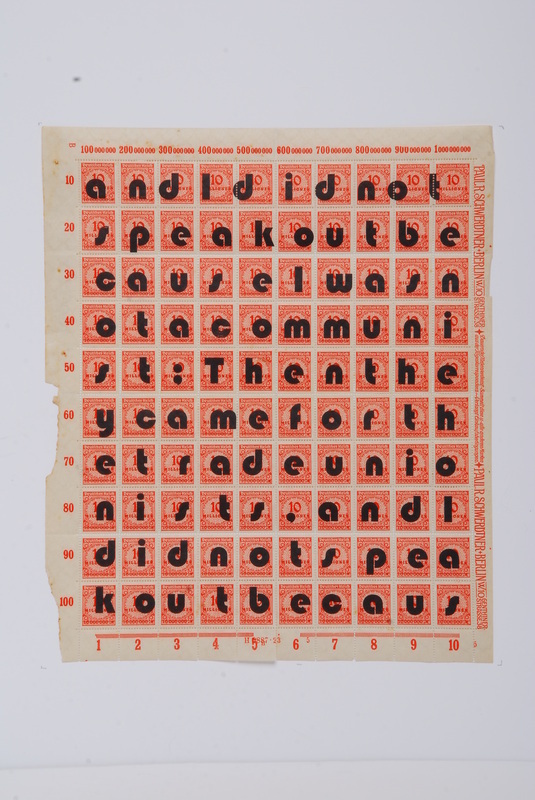 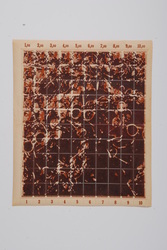 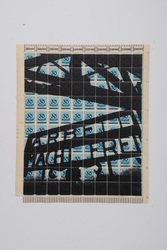 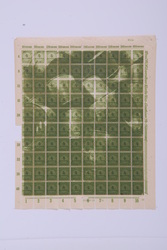 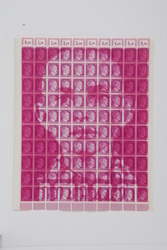 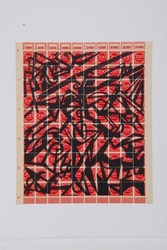 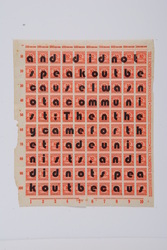 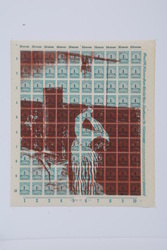 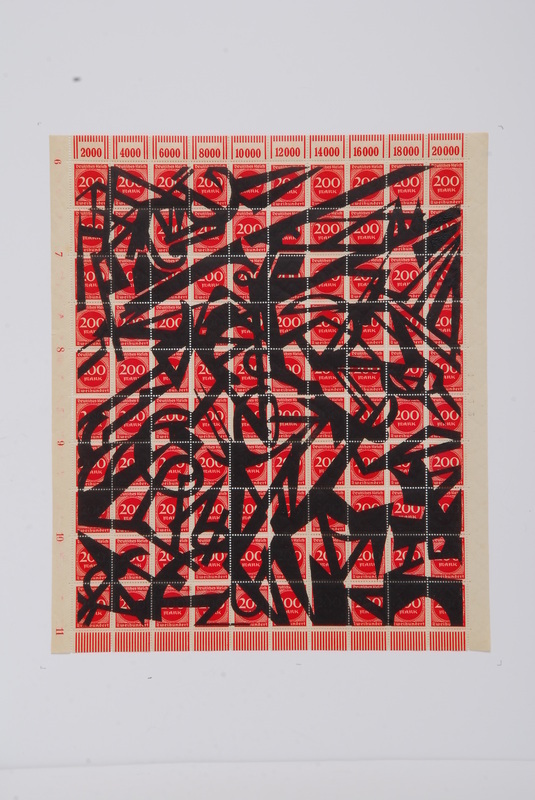 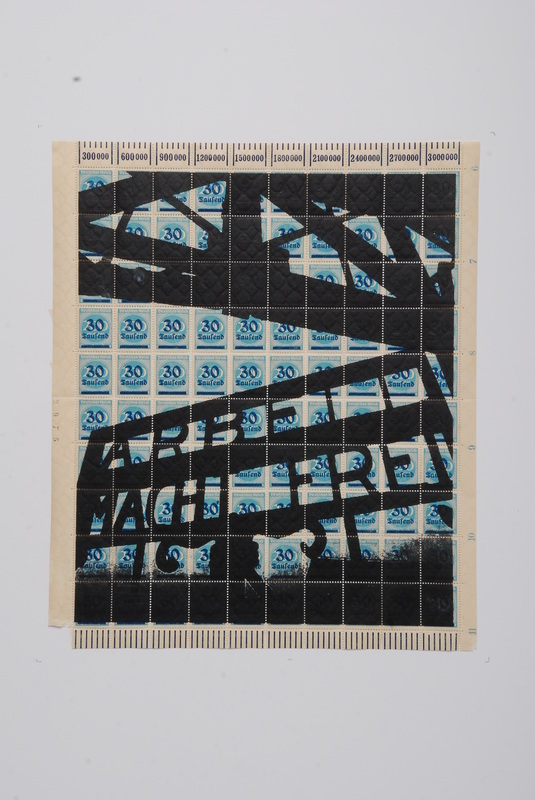 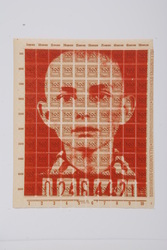 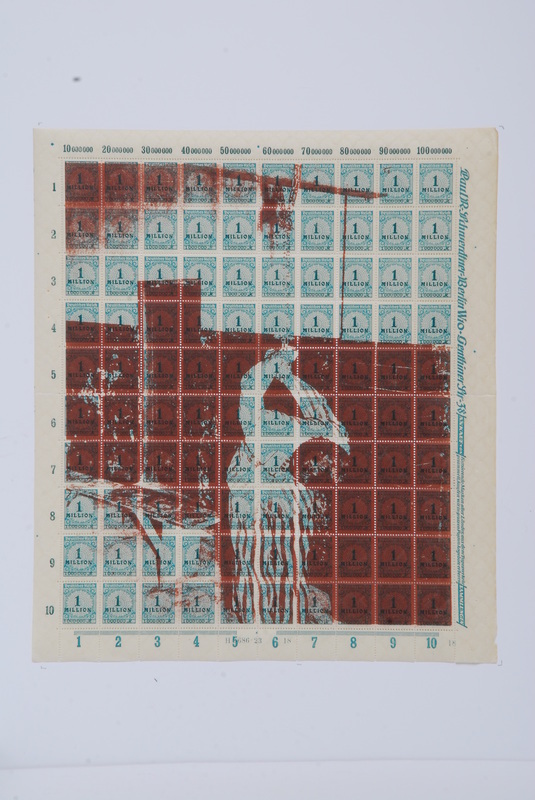 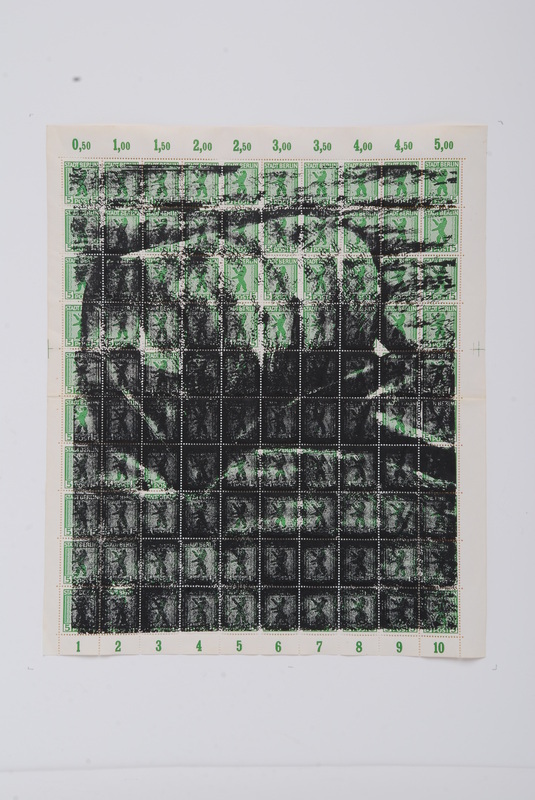 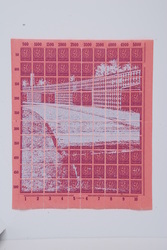 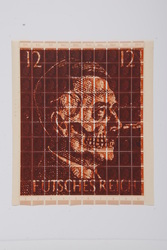 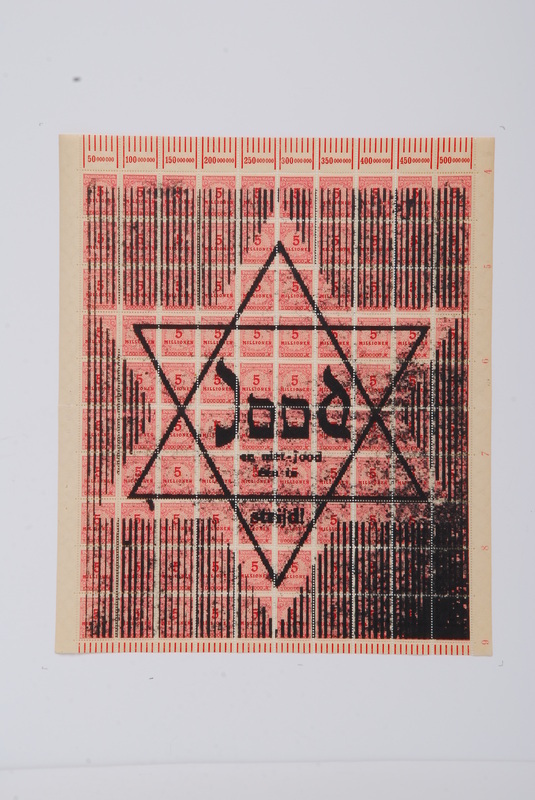 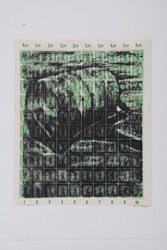 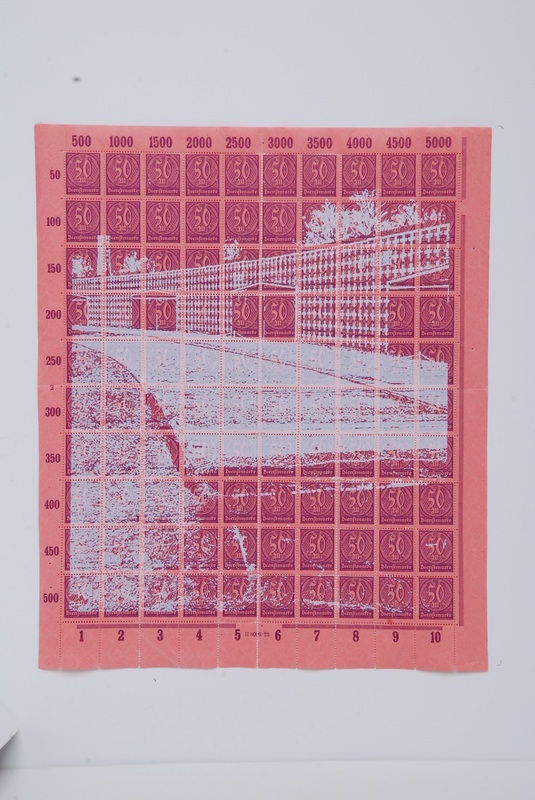 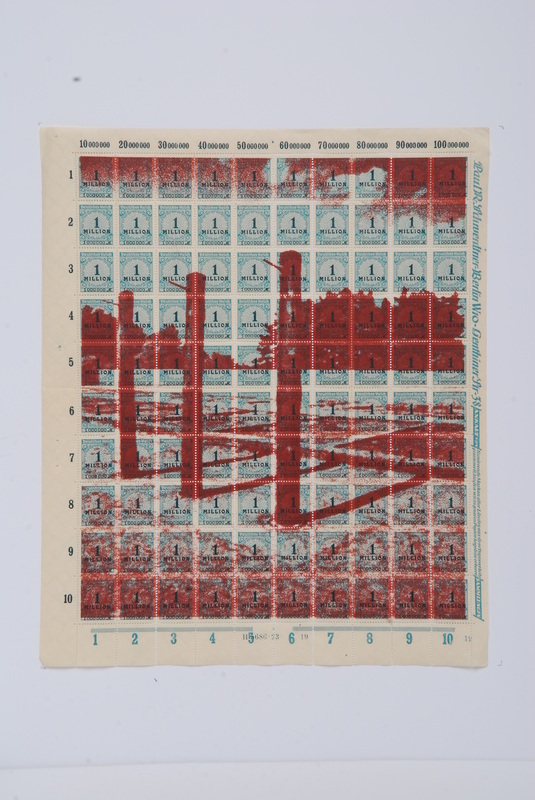 The images are screen printed onto sheets of original German stamps.